The cooling system is based on an entirely new principle. 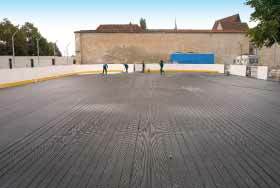 First, hockey side boards are installed on asphalt foundation, then a mobile freezing carpet is rolled out all over the surface, formed by a system of elastic rubber tubes. These are diverted into a shallow conducting drain. 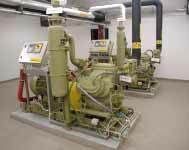 The mobile machine shop for cooling is placed not far from the conducting drain (container). 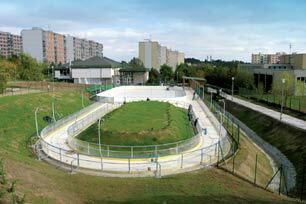 The cooling Daytime and nighttime view of mobile ice surface - Na Františku grounds (2004) medium is forced in by means of pumps from the machine shop for cooling through piping in the conducting drain into the system of the cooling carpet made of pipes. 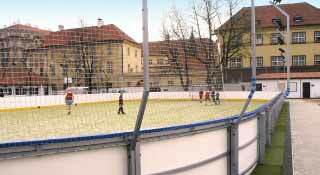 This piping system is all over the field/ice-rink surface covered with a permeable carpet of a special artificial lawn dusted with siliceous sand. The textile part of the lawn is 100% absorbing, which causes a total adhesion of the carpet to the system of cooling piping. This guarantees compactness of the ice layer all over the surface. 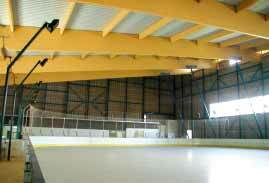 Another advantage of this skating rink is the fact that in case of need it is possible to transfer the whole mobile system (machine shop for cooling, cooling pipes, side boards, and net and light holders) to another site. 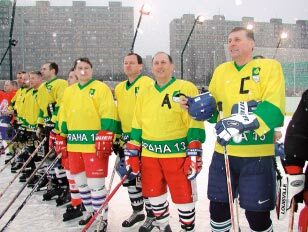 When the skating season is over and the ice melts away, the whole surface is used, without any further adaptations, as a current multipurpose playing field where all kinds of ball games can be played. 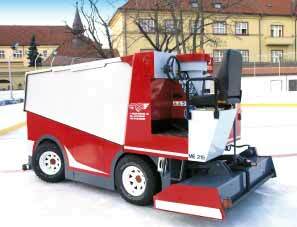 This has solved the biggest problem of permanent ice surfaces, namely their seasonal usability. 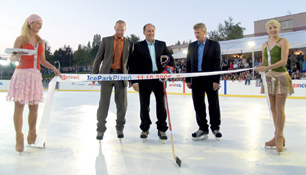 This is a revolutionary novelty in the field of artificial sports surfaces, a dry skating rink can be installed as mobile (seasonal use) or fixed installation (a special know-how base). To install this material is very easy, panels measuring 2 x 1 m are laid to one another using special catches - know-how of the “patent“ company. 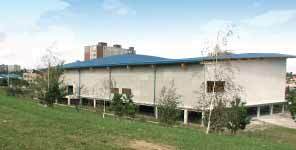 Laying is carried out on a special grid laid on a prepared, perfectly even base (either permeable asphalt, concrete with a carry-net or wire concrete) - a special know-how base. Novelty of 2005 - we offer a special synthetic material for skating, usable under any temperature and climatic conditions without cooling within exclusive collaboration of Sport-Technik Bohemia with the company INTERICE, which is the exclusive importer of polymer panels for skating from the American NASA production. 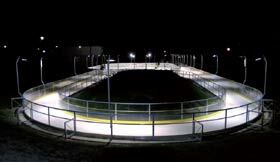 The surface of this material enables skating on standard skates, playing hockey and figure skating, and the operation does not require any energy or water supply and is not limited by severe frosts or high temperatures in summer months.